Cups, not cupcakes, these are. 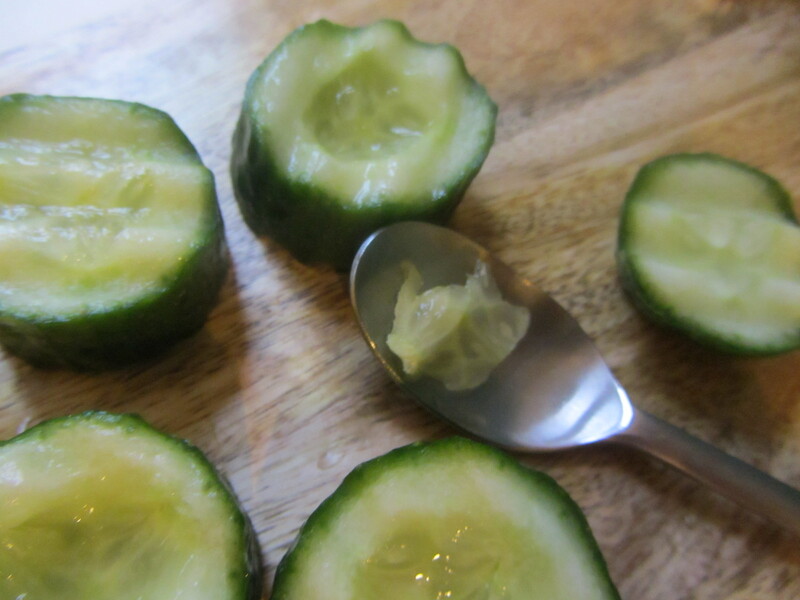 Sweet on the eyes and sweet on the tongue, these cucumber cups minus most of their seeds are breakfast finger food. Bet you can’t eat one. Process Scrape the skin of the carrot, removing any tiny hairs and blemishes. Remove the top and bottom. Wash the carrot and set aside. Wash the cucumber well. Remove both tips. 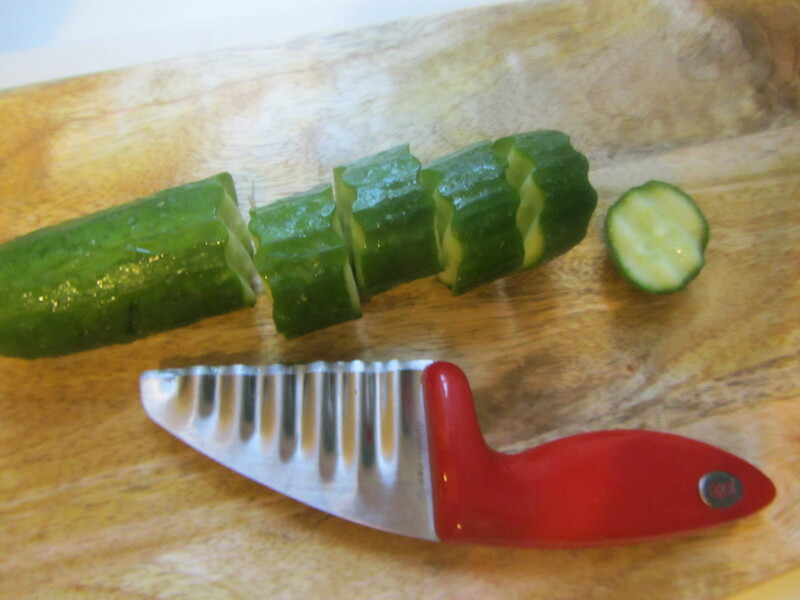 Use a crinkle cutter to slice the cucumber into ¾-inch pieces. Turn them over so they rest on the cutting board, face up. Use a small spoon to scoop out a small crater of seeds; discard the seeds. Fill the craters with hummus. 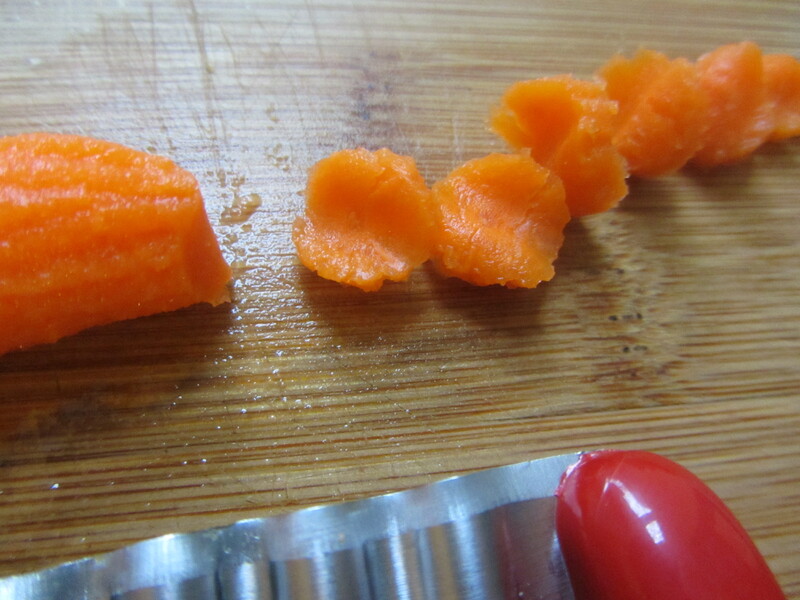 Use the crinkle cutter to slice the carrot into thin rounds. Begin at the tip so they will be small. 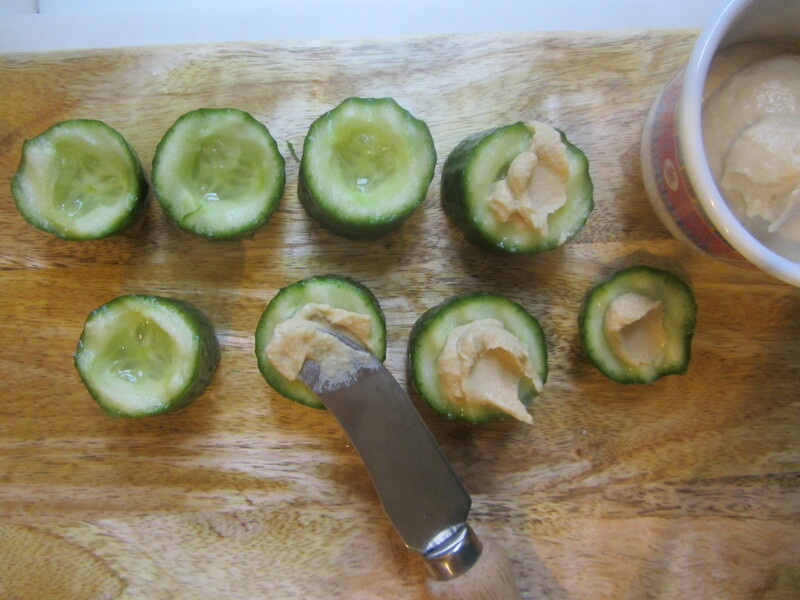 Place a small carrot round on top of each cucumber cup. 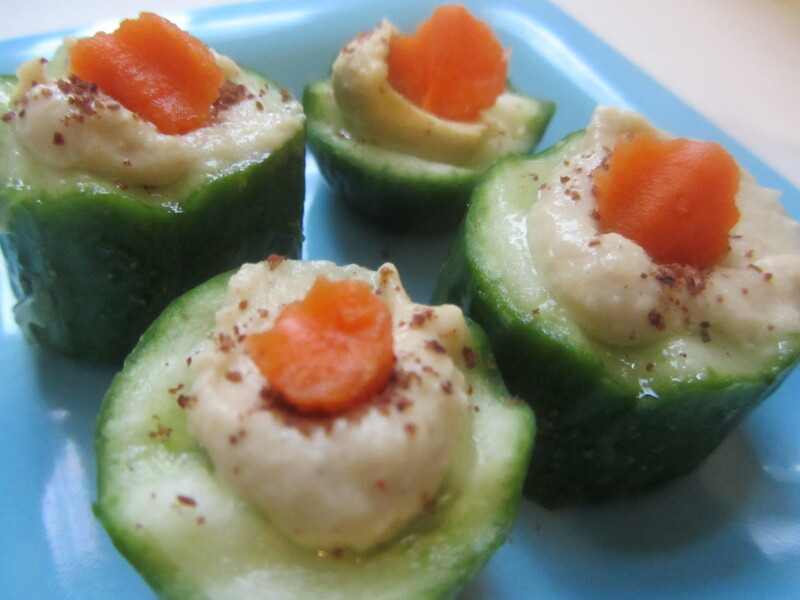 Another option, shown above: after you fill the cup with hummus, sprinkle sumac on top; garnish with a carrot slice.